Emulates a standard USB keyboard, mouse, and joystick. 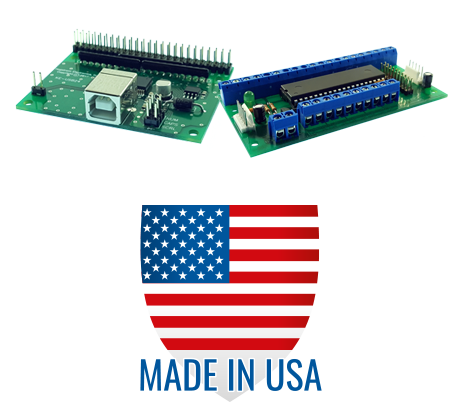 Full Speed USB interface with 108 individual programmable inputs. Each input can be programmed to send a single response, or a macro sequence of up to 64 keystrokes for both the activation and deactivation of an input. 4 analog joystick axis inputs. X, Y, Z, and Rx axis control with any potentiometer from 10K to 1M resistance value. Inputs may be programmed to respond as joystick buttons (up to 64), or mouse buttons. Two programmable rotary encoder switch inputs. Mechanical and/or optical rotary encoders may be used. Connector for driving Num, Caps, and Scroll Lock status LEDs. Uses standard system drivers, no special drivers required. USB1.x, 2.0, 3.x Compatible. Works as the only keyboard on your computer or in addition with other USB keyboards, PS/2 keyboards, or other devices attached to your computer. All power for the KE-USB108 is taken directly from the computer’s USB port, no additional voltage supply is needed. Multiple KE-USB108 units may be connected to the same computer. Supplied with a printed user manual and disk containing computer applications which are used to configure the KE-USB108. A Full Speed USB keyboard, mouse, joystick emulator with 108 individual inputs! The KE-USB108 is a full featured device that not only emulates a USB keyboard, but is a USB mouse and USB joystick as well. 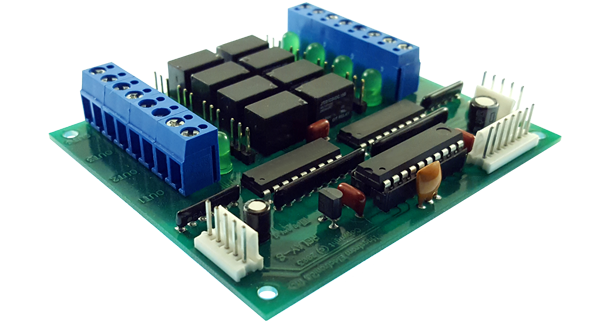 This unit incorporates inputs for switches, rotary encoders, joystick potentiometers, trackball, and a spinner! No external power is required, the KE-USB108 is powered directly from the computer’s USB port. The KE-USB108 provides a mix of the features consistently asked for by our customers. With the ability to emulate not only keystrokes, but joystick and mouse actions, this unit is the definitive choice for interfacing various controls to the USB port. All 108 switch inputs are individual inputs, no matrix scanning is required. This unit is the ideal device for Flight Sim and Computer games. Each of the 108 inputs may be programmed to emulate keystrokes, joystick buttons, or mouse buttons. Super-fast scanning and full speed USB operation assures top speed responses to each of the controls. The 108 inputs are activated by connecting the input (such as through a switch) to the common logic ground on the KE-USB108 input header. Each of the inputs may be programmed to generate a single keystroke, or a sequence (macro) of keystrokes. For macros, an input may generate up to 64 keystrokes when activated, and up to 64 keystrokes when the input is released. In addition to keystrokes, inputs may be programmed to respond as joystick buttons (up to 64), or mouse buttons. Since all 108 inputs are individual, there is no chance of "phantom" keys that are inherent in scanning a matrix. 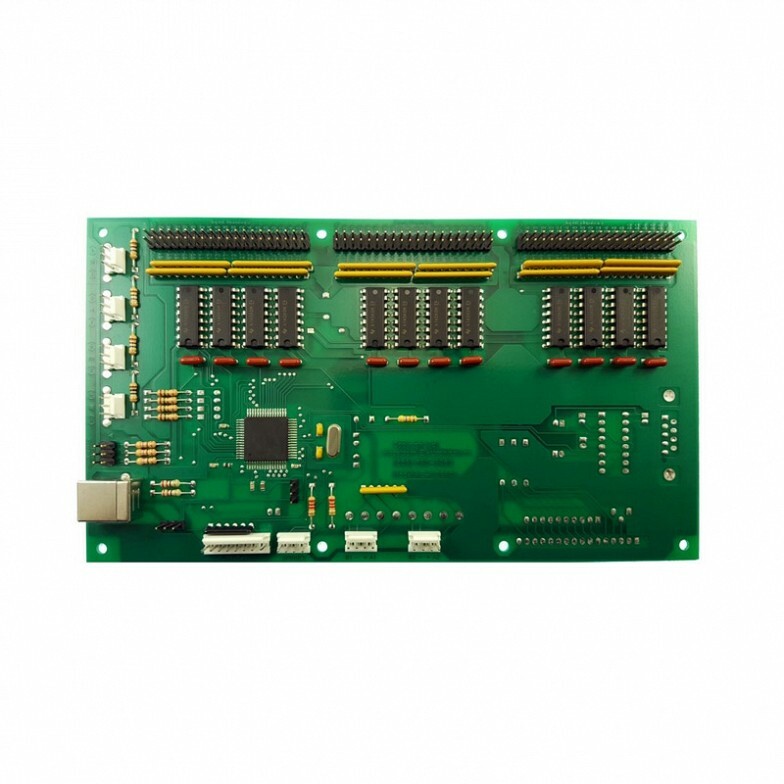 With the individual input configuration, any combination of inputs may be activated simultaneously during operation. Use any type of switch that produces a contact closure. The KE-USB108 can accept inputs from pushbutton switches or toggle switches. The inputs may be programmed to send a response when the input is activated, when it is de-activated, or both, making the unit ideal for handling toggle switch actions! In addition to driving the inputs with contact closures, connection to logic level circuits is also possible. The KE-USB108 considers a logic low level as an active input. The KE-USB108 provides two input headers for connection of rotary encoder switches. Either mechanical or optical rotary encoders may be used. An array of programmable options is available for the rotary encoder inputs. This allows them to be tailored to the rotary encoder switch connected to that input. The response to each direction of the rotary switch rotation can be set to send a keystroke. The KE-USB108 features an interface port for converting Trackball signals into USB mouse signals. 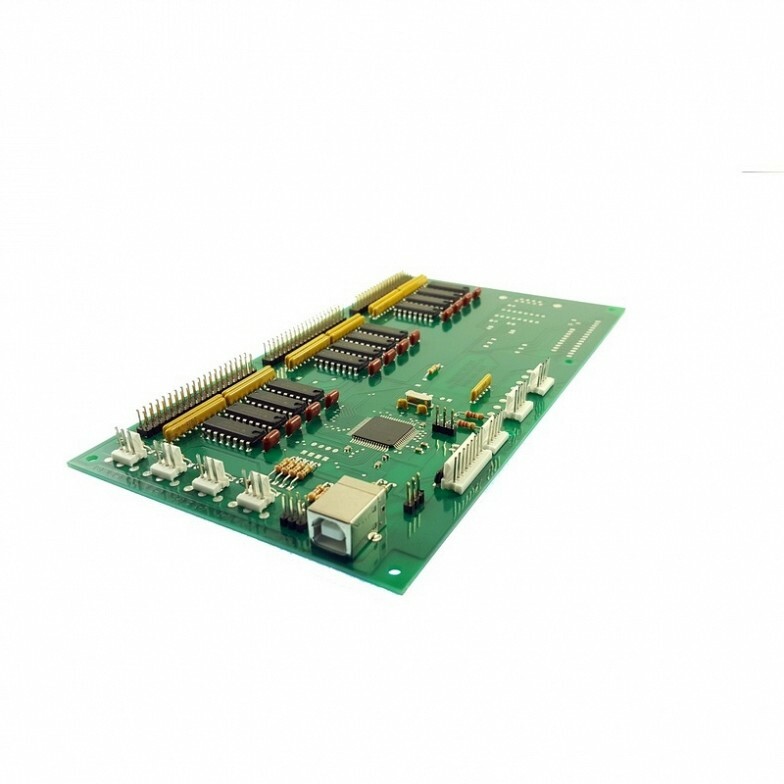 This allows the user to send the raw data from a Trackball directly into the KE-USB108 Trackball Interface connector. No other electronics, or power for the Trackball is required. The KE-USB108 supplies the power directly to the Trackball itself (except for a backlight, if the Trackball has one). The Trackball input is compatible with both active high and active low Trackball signals. The KE-USB108 supplies an input for converting Spinner signals into USB mouse signals. Raw signals from the Spinner may be used as mouse wheel movement or directed to the X or Y mouse movement. The KE-USB108 provides power to the Spinner optics. The Spinner port accepts inputs from either active low or active high Spinners. Four analog inputs are provided on the KE-USB108 to allow for potentiometer usage for joystick X, Y, Z, and Rx axis controls. 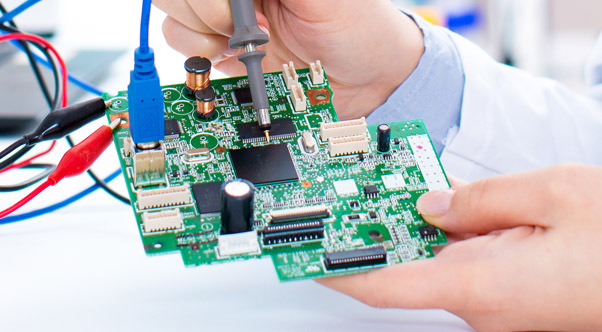 Connect any potentiometer from 10K to 1M resistance values to the KE-USB108 to produce action on the desired joystick axis. The individual axes may be enabled or disabled allowing for the use of any or all the joystick axis inputs. 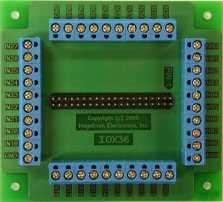 The KE-USB108 provides a header which can drive keyboard status LEDs. There are signals provided for driving the Caps Lock, Scroll Lock, and Num Lock LEDs. A printed manual and disk are supplied with the KE-USB108. The computer application program is used to create the desired responses for each input and load the configuration into the KE-USB108. 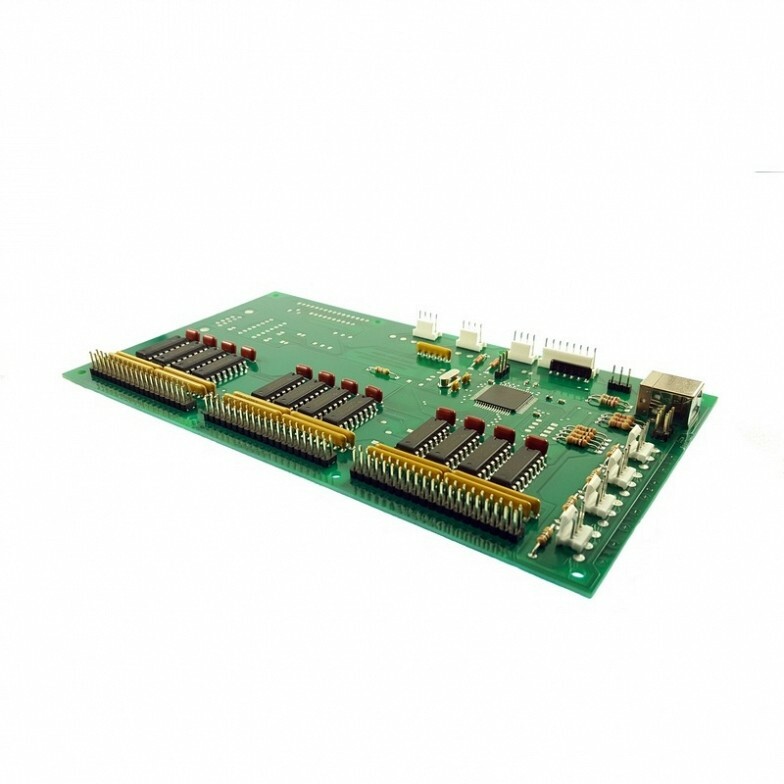 The configuration for the input responses is stored on board the KE-USB108 in non-volatile memory. This memory is maintained until the configuration is changed again by the user. KE-USBMM6 - Male/Male Type A to Type B USB cable to connect from the KE-USB108 to the USB port on the computer. Length = 6 feet. KE-TBH3 - Keyboard encoder to trackball connecting cable. Length = 3 feet. KE-SP3 - Keyboard encoder to spinner connecting cable. Length = 3 feet. MTA100-3-12 - A Female 3 wire cable harness that attaches to the KE-USB108 analog joystick headers, providing 12 inches of loose wire for each input pin. 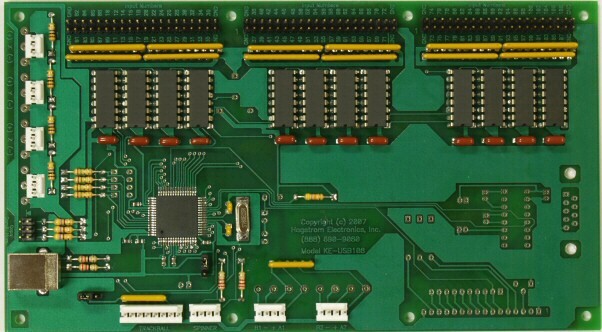 For connection to all four analog joystick headers, four MTA100-3-12 harnesses will be needed. Length = 12 inches. MTA100-4-12 - A Female 4 wire cable harness that attaches to the KE-USB108 rotary encoder headers, providing 12 inches of loose wire for each input pin. For connection to both rotary encoder headers, two MTA100-4-12 harnesses will be needed. Length = 12 inches.